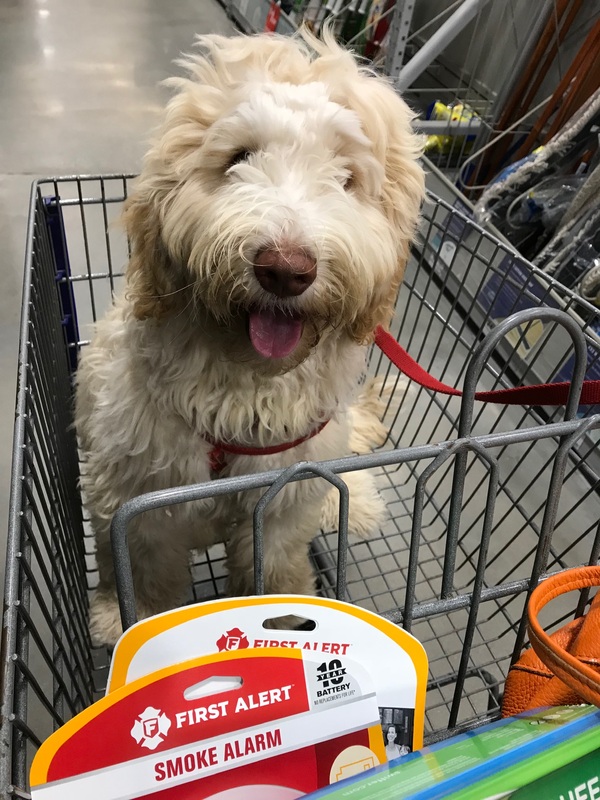 I first introduced Max to you in my July 1 blog when he was 11 lbs and eleven weeks old. Now he has reached six months of age and is just under 30 lbs. Like all puppies, he is maturing; learning good citizenship; and playing his heart out every weekday with other dogs. Like all puppy Moms, I am surviving, no thriving, with my bundle of energy and love! He is quite a comic, especially as he is learning to pee like a big dog: he lifts his leg against a tree but can only get a dribble out before he starts to fall over! 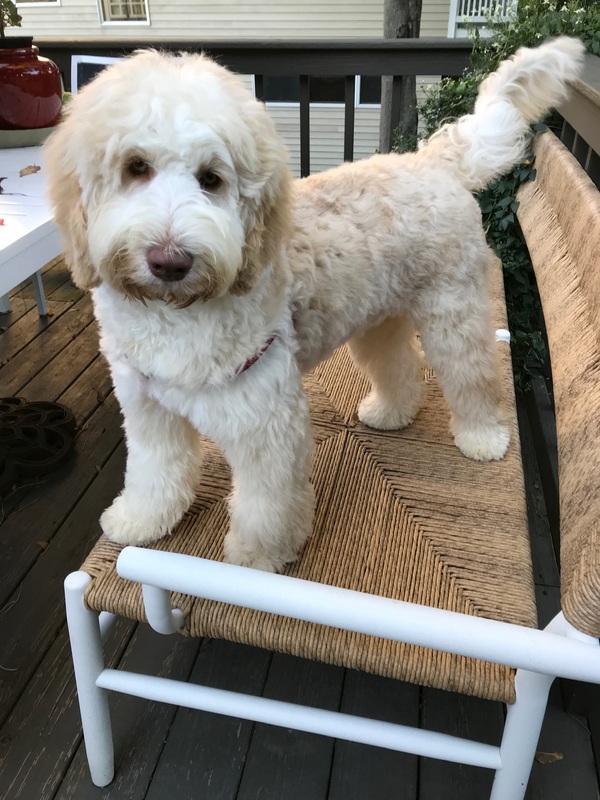 He had his first grooming this week and looks really sweeeeeet! 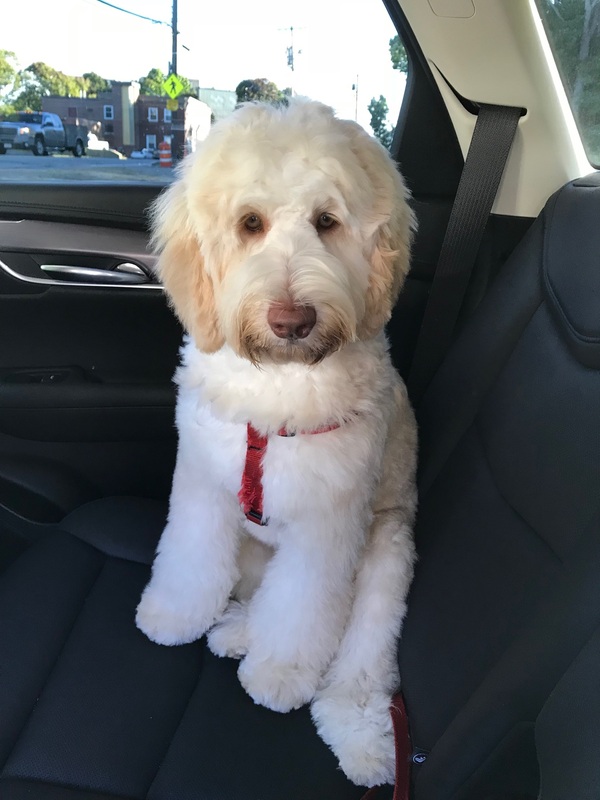 First photo is before his cut; second is in the car immediately after; third is a full view of a proper Labradoodle cut. business in Melbourne, we traveled to Cairns with snorkeling on our minds. We found someone to take us and spent a lovely afternoon. myself and my dear readers on this subject. expelling the algae, revealing its white skeleton. This is bleaching. is believed it will survive. beauty of natural coral, but I can live with dyed red. supplied me with coral for years! 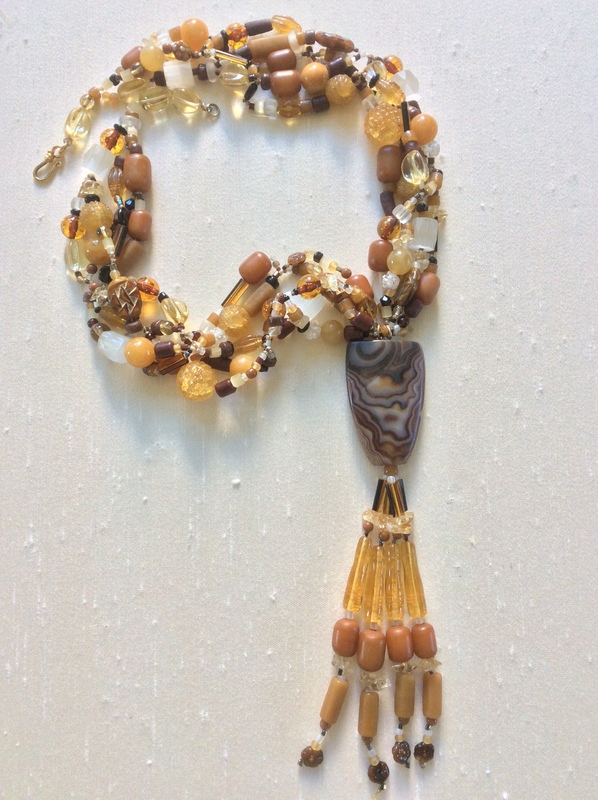 The genesis of this necklace goes back to 1998 when I was designing a lot of tassel necklaces. 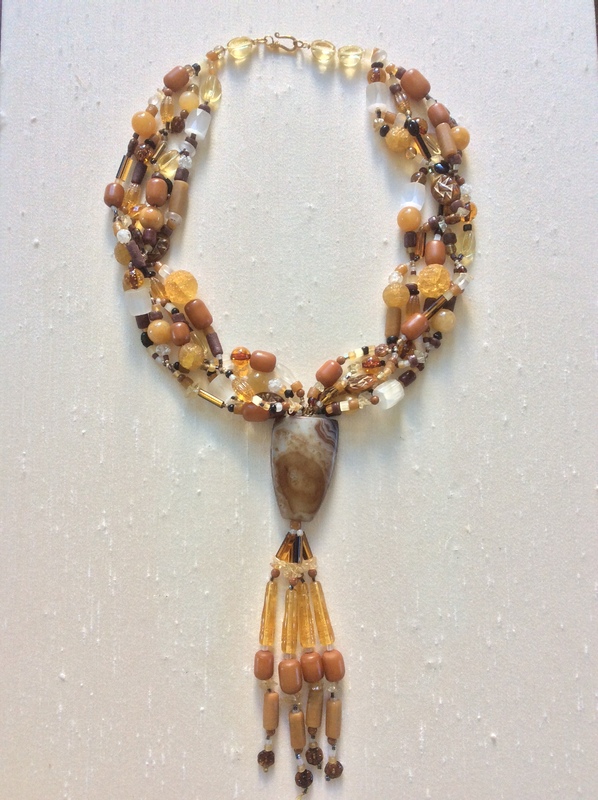 And a lot of my One-of-a-Kind style…where each bead is one of a kind…all my necklaces are one of a kind, you know that. I was happy I had found my niche with big beads and chunky necklaces in an era when everybody seemed to be doing seed bead creations that were lovely but made my eyes cross when I worked with those itty-bitty beads. 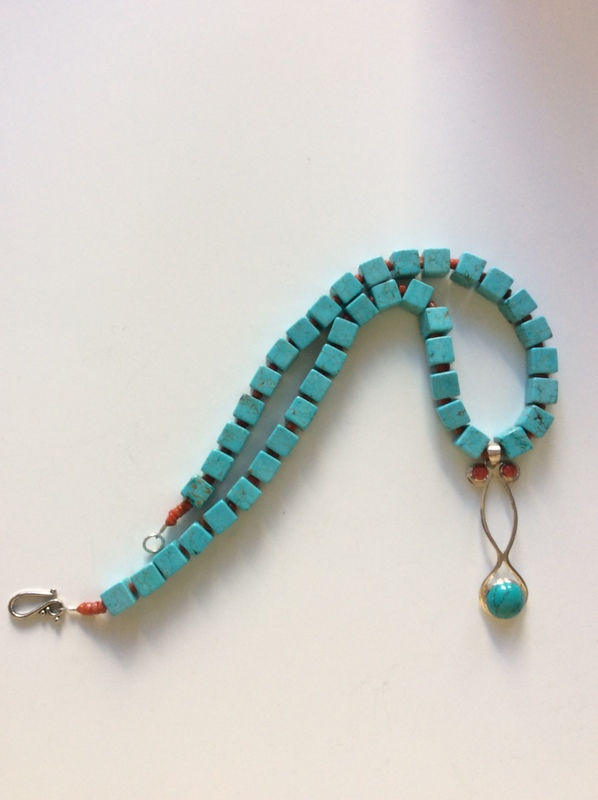 I was taking lots of classes from really fine instructors and thought that teaching my Tassel and One-of-a-Kind techniques at national bead shows would be my path to greatness. I did teach at a Miami show and at one of our better shows held each spring in Santa Fe. Well, teaching was not meant to be a path to anywhere: my mind worked faster than my mouth and I tripped over my words. I put greatness back on the shelf and it remains happily there. This 26” necklace features lime faceted crystals, three Bohemia pre-war glass discs, two sizes of ceramic beads on the lime side. On the blue side, there are Czech glass in light and medium as well as matte darker blue resin beads. The blue and lime lampwork glass bead with the Nautilis design was made by Carolyn Driver (CA). The clasp is a vintage plastic piece in an intriguing shape plus a sterling silver toggle I made. 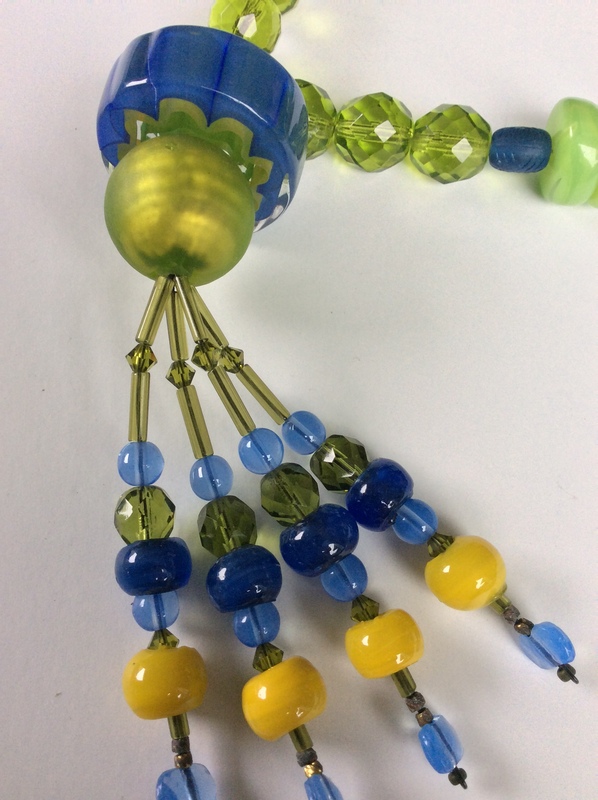 The tassel measures 4.25” long and is topped by two fabulous beads: a large Venetian glass round bead lined with gold foil and a large American Art Glass bead in a pretty shade of blue with lime bordering the inside. 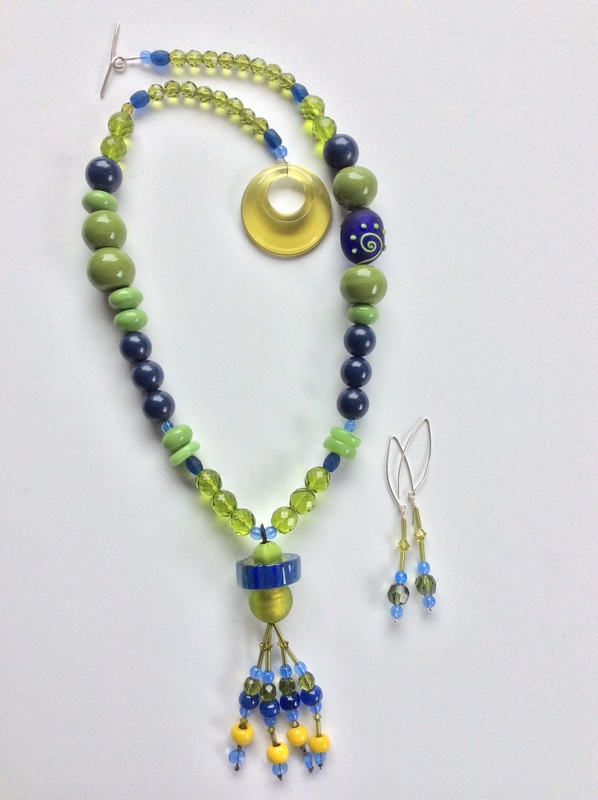 The tassel is a medley of blue and lime with a spot of chartreuse to treat the eye! Earrings are included. They measure 3.5” long. The set is $149. 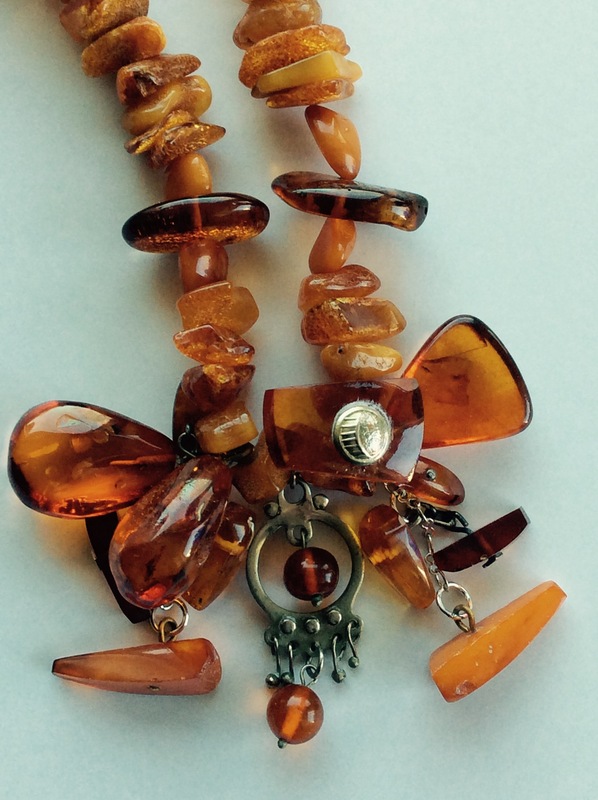 I had a chance to discover amber early in my bead artist career. In 1996 my husband and I cruised from London to the Baltic. Most port stops were well known places in Germany, Russia and Scandinavia; but squeezed into the middle of them was Estonia. The first person we met as we strolled ashore was selling amber beads: I declined since I couldn’t tell if they were plastic or amber. So we poked around Tallinn’s quaint square and wondered what will we do? I saw the Amber Market and cajoled my husband into looking. I learned a lot about amber and bought several interesting strands. Over the years as I got deeper into bead acquisition, I met traders who were always exotic looking and as colorful as their beads. They sold large pieces of amber and showed me how buyers checked to be sure they weren’t imitations by sticking a heated needle point near the hole. True amber will melt slowly and smell sooty; false amber, which is usually the opaque younger “copal”, will melt quickly and be fragrant. Amber is fossilized tree sap well over one million years old. 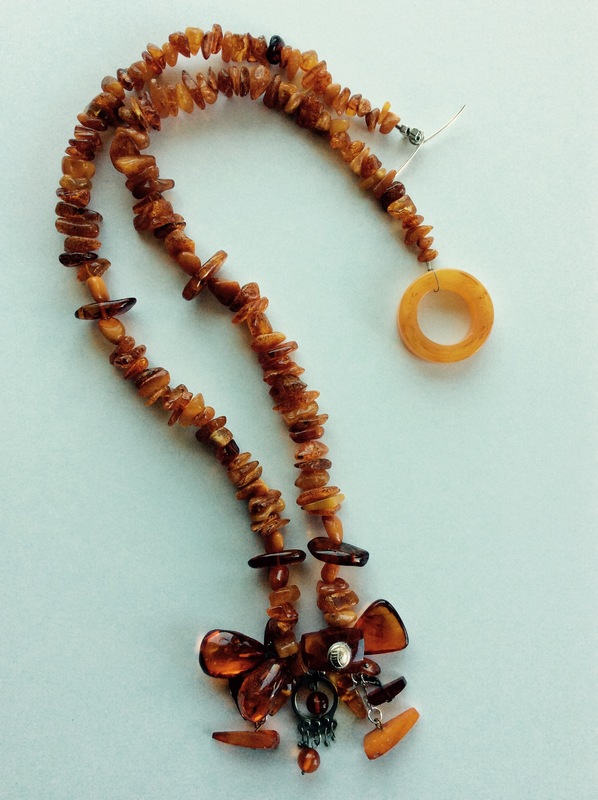 Wearers of amber love the air bubbles, water, and remnants of plants and insects that can be found within the bead! A dangle, Left Photo, top left dangle, in this week’s necklace clearly shows an air bubble. All 13 dangles are from a gift of broken or outdated jewelry given to me by my friend Tess whose parents moved from Lithuania during World War II. I made good use of the cufflinks and charms! Thanks Tess! Lithuania, Latvia and Estonia make up the Baltic States which are full of beautiful people, rich cultures, and plentiful amber. This necklace is 31” long. Besides the dangles with their [unknown] stories to tell, it features a very faux plastic clasp with a sterling silver toggle. The necklace consists of very large chips of a deep variegated color from the Lithuanian Market. It will look nice with your sterling silver earrings. $115. Priscilla Beadle, Hull artist, will create a one-of-a-kind beaded necklace each week in 2017. To celebrate turning 75, many people choose a relaxing vacation or a great party; some people are happy just to make it through the day. Priscilla Beadle, Hull MA artist, challenges herself. An English major in college, Beadle has lived her life by Robert Browning’s line, “…a man’s reach should exceed his grasp,/ Or what’s a heaven for?” This quote is the driving force behind all Beadle’s difficult and exciting endeavors. “It gives me permission to push myself,” she says. For her, this challenge is self-motivating as it produces a real accomplishment each week. “Sometimes you just have to push yourself to grow, stretch, and do things for yourself,” Beadle advises. She has already begun to write a maker’s journal that she will keep throughout the year. Adding to Beadle’s motivation, her large vintage apothecary chest has 52 drawers; seven square drawers arranged in seven rows, with three large drawers at the bottom. Purchased in Hong Kong, the inspirational 1940’s era Elm wood apothecary chest is more than seven feet tall, four feet wide, with each drawer going 16 inches back. “I’m going to start in the upper left corner drawer and work my way through every drawer, from left to right, top to bottom,” confides Beadle. She uses the chest to organize her vast collection of beads based on color and material. Each drawer has three compartments. 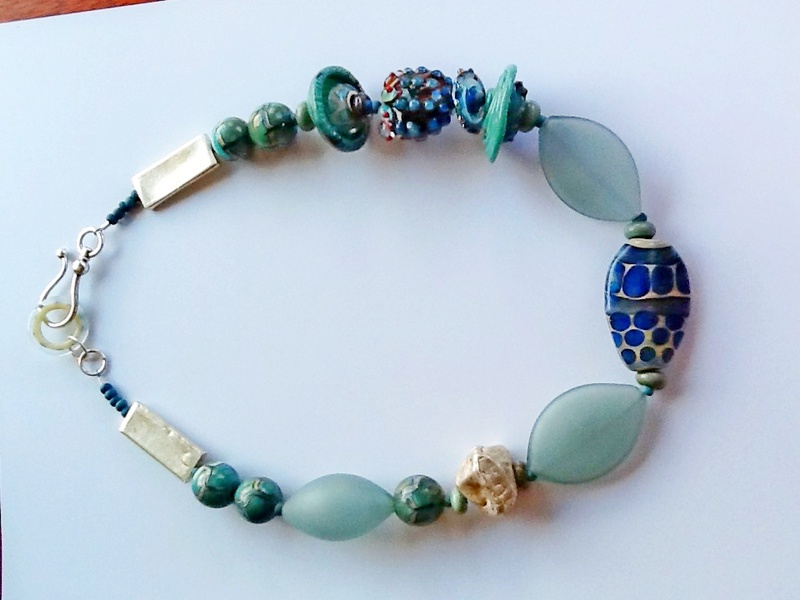 The first necklace of the year will be drawn from Venetian glass beads which have been divided into silver/gold, blue/green, and red/orange groups. The second drawer has different color Venetian glass; black/white; purple/yellow; and multi-colored. The last drawer of the year contains faux amber—cherry, butterscotch, and yellow mock amber—resin beads from Indonesia. Beadle keeps clasps and centerpieces in a special cabinet, not in the drawers. Center pendants can be made of glass, jade, silver, brooches, semi-precious gems, and oddities such as extraordinary buttons or other upcycled adornments. 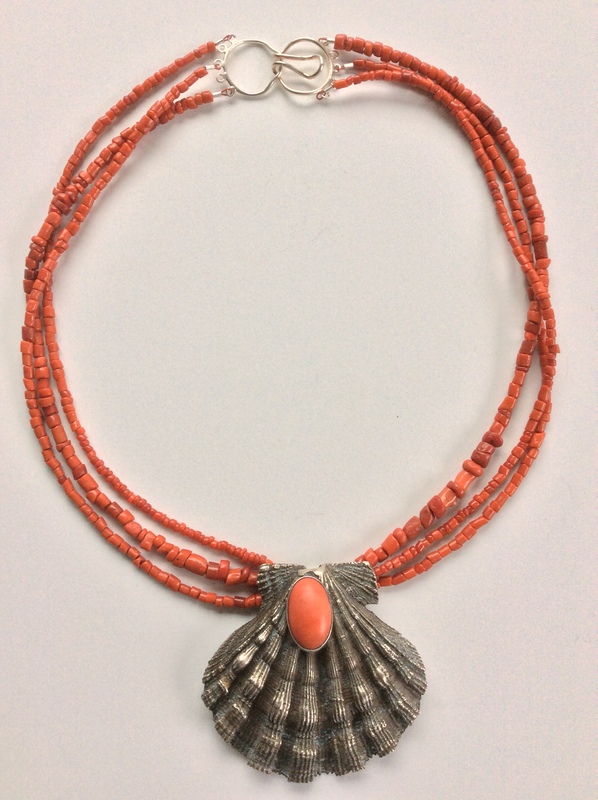 Creating bead jewelry art since 1993, Priscilla Beadle first found inspiration for her bold, eclectic designs in the bazaars of Tibet and Nepal, in dusty shops in Beijing, on remote Indonesian islands reached by catamaran, in beautiful Bali, and in verdant Indochina—Laos, Cambodia, and Vietnam. Each Beadleful design starts with a centerpiece—add whimsy, color excitement, texture, chunky beads, a fabulous clasp—a collectable necklace is born. 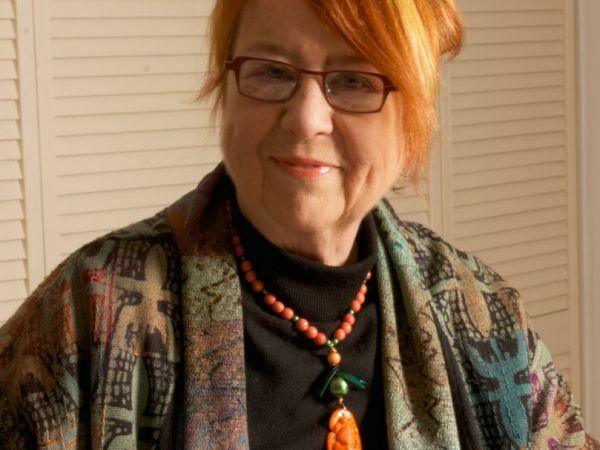 Priscilla Beadle returned to her hometown, Hull MA, in 2011. For 34 years she had lived in California, eleven in the historic mission town of San Luis Obispo. She brought her business, Beadleful, with her and crafted a comfortable studio for her work on the ground floor of her home. 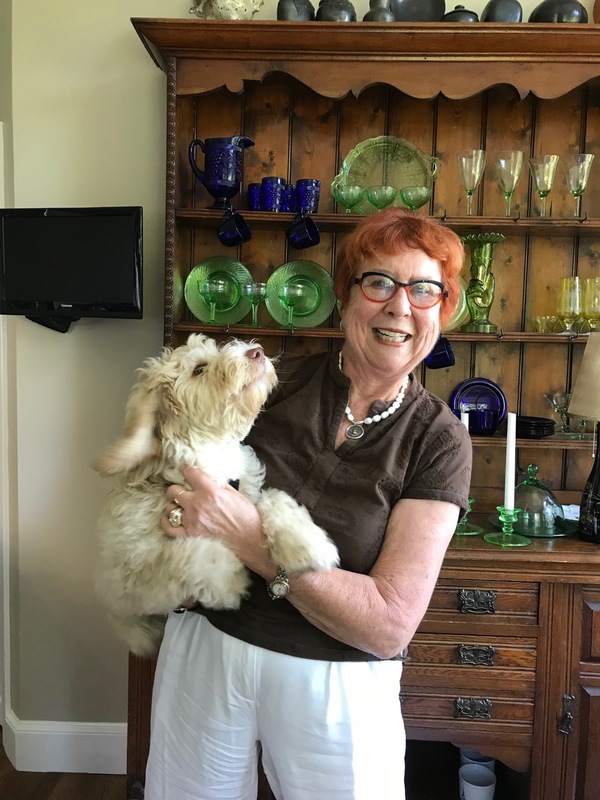 The spark of Beadleful ignited when, after 23 years in the corporate world, Priscilla retired in 1993 to accompany her husband on his job assignment in Hong Kong. Southeast Asia became her handicraft fantasy world as she hunted for beads: –odd, large, ethnic, contrarian beads; antique or contemporary glass beads; rare and unusual colors; textures that lead to touching. 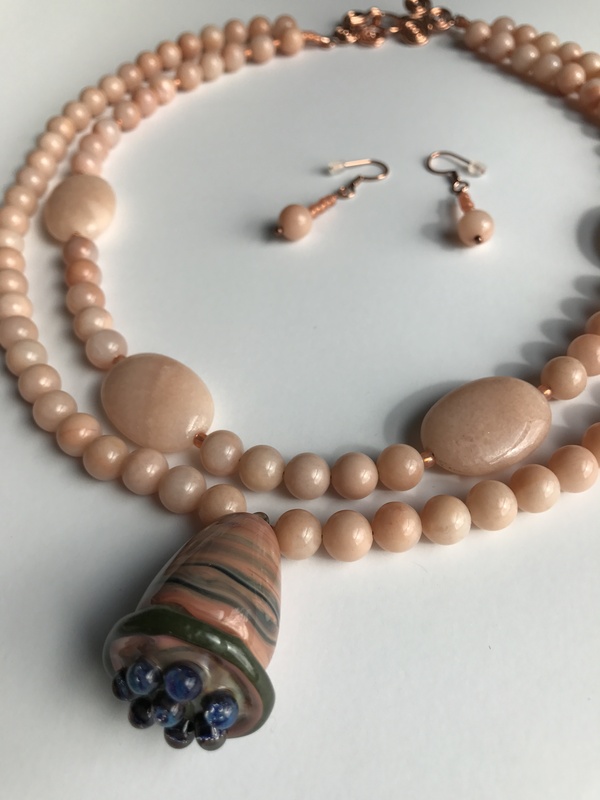 Whether traveling the world or stalking New England galleries, successful bead hunting inspires the bold eclectic designs that characterize Priscilla’s unique necklaces and bracelets.